This simple small kitchen has great appeal. 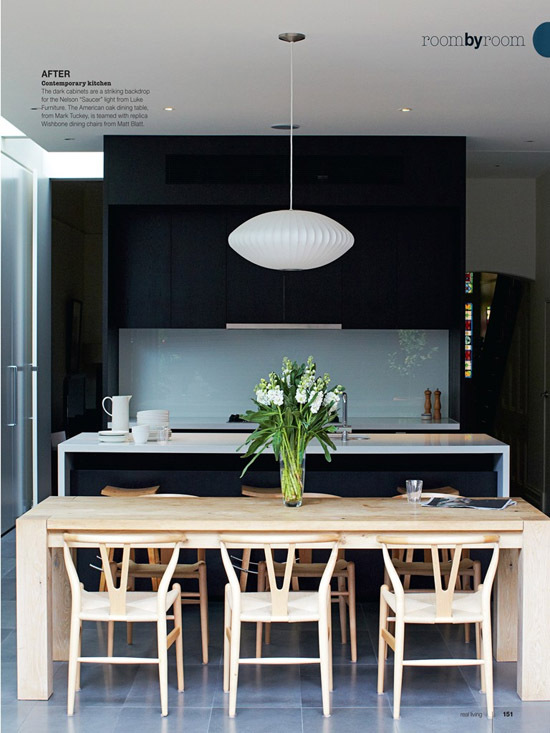 I love the dark cabinetry, fun lighting and my favourite wishbone chairs. I cannot wait to grab my own copy of this month’s Real Living. I have not quite decided whether I will commit to a digital subscription yet. Have you moved to reading your favourite mags on your iPad?